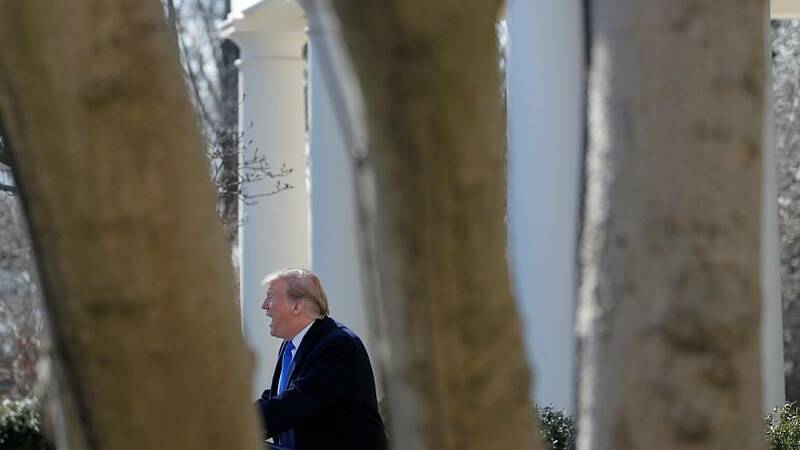 WASHINGTON —The House on Tuesday failed to override President Donald Trump's veto of the Democratic measure to repeal his emergency declaration on the southern border. House Democrats failed to overturn Trump's veto in a 248-181 vote, falling short of the two-thirds majority required to overturn a presidential veto. The GOP-controlled Senate would also be unlikely to reach that threshold, with Republican leaders there showing no inclination to bring it up for a vote in any case. The House vote comes nearly a month after the chamber passed a resolution to reverse the president's border declaration in a 245-182 vote, with 13 Republicans joining Democrats in support of the measure. A few weeks later, the Senate also voted to repeal the emergency declaration in a 59-41 vote in which 12 Republicans joined Democrats to rebuke the president. Many GOP lawmakers who opposed the president's declaration warned that it set a dangerous precedent for future presidents. Trump ultimately vetoed the measure, the first one he issued during his presidency, rejecting the congressional effort. He called the veto "reckless" and a "vote against reality." "He added that, "As president, the protection of the nation is my highest duty," and reiterated that there is "definitely a national emergency" at the border. Speaker Nancy Pelosi, D-Calif., said the decision to try to overturn Trump's veto had nothing to do with whether Democrats would be successful in their effort. "Whether we can succeed with the number of votes is not the point. We are establishing the intent of Congress," she said at an event in New York last week during the congressional recess. "The president has decided to be in defiance of the Constitution, to deface it with his actions." Pelosi said that Tuesday's vote could help Democrats' case in the long-term. "Establishing the intent of Congress will help us in the court of law and in the court of public opinion," she said. Meanwhile, House Armed Services Committee Chairman Adam Smith, D-Calif., sent a letter to the Defense Department Tuesday denying a request from the administration to transfer $1 billion from 2019 appropriations approved by Congress to "construct additional physical barriers and roads or install lighting in the vicinity of the United States border."